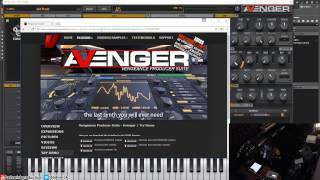 Meet our new alpha and omega of synthesis: vengeance producer suite avenger is here! The most versatile and best sounding synth you will ever encounter. There is nothing VPS Avenger can’ t do, it offers you tons of features and a gigantic growing library from some of the best sound designers on this planet.